A while ago (before my time so at least 5 months before I wrote this) logoff timers in Eve were tweaked. There was a problem with people logging off when they were dying in battle. This caused their ship to vanish and they came back later to collect it, undestroyed. It was deamed an exploit (I believe). Now, if the pilot is in combat they will retain their timer for the 15 minutes. This means that while their ship will warp away to some random spot in space when they lose connection, it will just sit there, empty. This gives the attackers time to probe it down and finish making it explode. So tonight, one of the guys yells that a freighter is landing on the gate. Those of us on happen to be in system and we undock like crazy and start aligning, waiting for the sound of 'point'. Only, no point comes and they warp off elsewhere. They have scouts in newbie ships who come and check us out. Now it is a waiting game. They are moving their freighter, that is obvious. There are 4 or 5 people involved so they probably want to get it done tonight. After about 15 minutes they undock and warp the freighter. We all land on the gate and jump through and start laying into the freighter. I'm about 40k off of it, since its a big gate and I spawned on the other side of it. Therefor, I pop one of their scouts as I move past and overheat into the freighter. My first solo kill is a scout in a rookie ship. In quarter structure, it vanishes. He jumped and logged off. The freighter went into its logoff timer without aggression. It did not warp because we had it pointed. We laid in the damage but it wasn't enough, fast enough and the ship logged out. Oh, there was cursing. This used to be done by capital ship pilots. 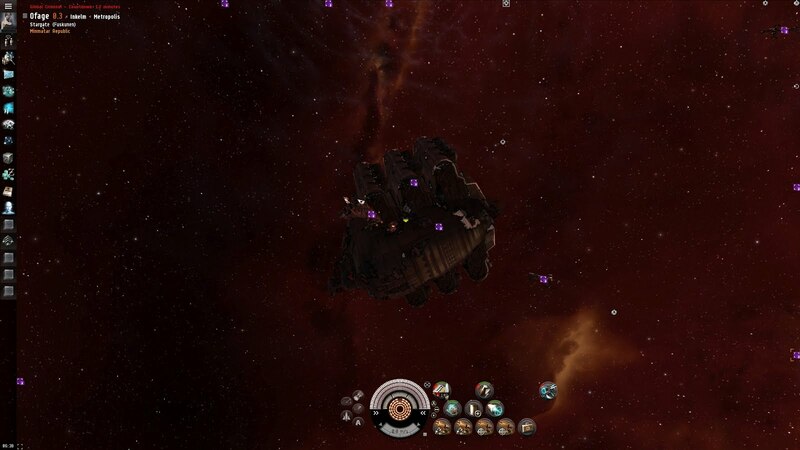 Now they self destruct their ships to deny the killmail. Oh, how frustrating it is. Image from my first freighter kill. Same type of ship this time, only its still alive.